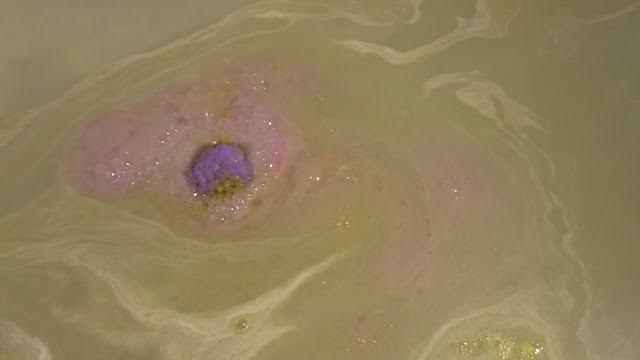 When I saw that Lush were releasing jelly bath bombs a few months ago I was very intrigued. I couldn't quite bring myself to order them as they sounded slightly gross and they were only online, so I decided to wait a little while. When I saw the Halloween bath products online I decided to order the Halloween jelly bomb as I was picking some bits up anyway and thought I had nothing to loose. 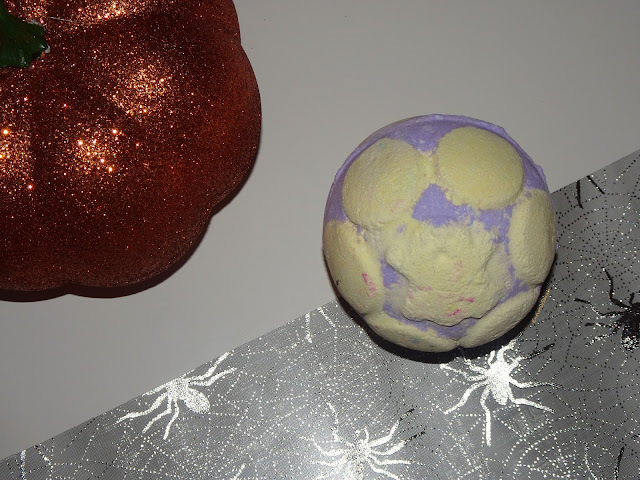 I set up a camera and did a video of the bath bomb, so I will be sharing videos of all the Halloween bath bombs over on my YouTube channel later in the month if you want to see it fully in action. The bath bomb is a beautiful purple shade with yellow toned spots on the top and bottom with a little ghost on the top of the bath bomb, it isn't overly clear on the picture of mine but its such a cute touch. The scent of this bath bomb is a beautiful citrus tangerine that smells beautiful, definitely a scent I loved and one I would definitely pick up again purely based on just the way it smells. I dropped this into the bath and watched it fizz, it became a yellow colour in the bath which I wan't expecting from the mix of yellow and purple on the outside I really thought the purple would dominate. The bath bomb fizzed for a while not looking like the jelly was very prominent in the water but it did look very pretty. As it fizzed some more I noticed the bath bomb appeared to stop in the water and I was unsure why this was until I popped my hand in to investigate. As I felt the bath bomb it was indeed a little stuck in the water, it was surrounded by the jelly and needed a little bit of a boost to get going again away from a bit of the jelly. In my opinion, the jelly feels a bit like snot, it is the weirdest thing in the world to touch in the water and know you are about to step into the bath and bathe in the weird substance. I got into the bath and was half amazed and half grossed out by the whole thing, to the point I made my husband come and get into the bath with me just to feel it, and then get straight out, after all, I wasn't sharing my relaxing bath bomb, face mask, book reading bath time with him for a moment longer than to feel this weird bath bomb! After being in the water for about 10 or so minutes the jelly dissolved in the water and completely disappeared, so by the end of my bath I didn't actually have any jelly left which I think is good as I don't know if I would have wanted it to stick around much longer.... 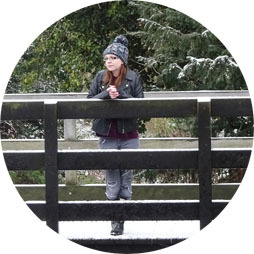 I do however think the colour of the water was a bit undesirable, it had a murky look to it as though someone who hadn't bathed for a year had got in, and then it had a yellowish tint to it which can be seen above which made it look like it had then been peed in, not pleasant! Overall, this is such a weird product, I don't hate it, but I also don't know if I really want to use them again, I did already buy the Snow fairy jelly bomb, so I will be using another one soon, but I think this is one of those products you need to be aware that if you are grossed out by anything slimy, you wont want to use this. I think for £4.95 they are definitely a fun concept and more interesting than a normal bath bomb, but I also feel for something I still cant decide if I liked or not it is quite pricey. I think a lot of the dislike is the colour as it made it feel more like some sort of alien or ghost buster slime, so the pink snow fairy one may be nicer, but other than using the one I have left I don't think I will buy more of these. 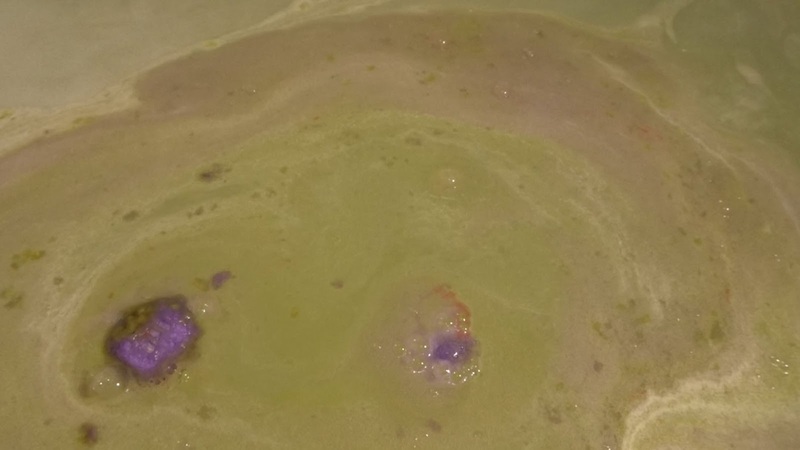 If you want to shop this bath bomb online you can find it here, and you can also find the other jelly bombs on the website too if you want to see any others they have to offer.